A team from health department of central government visited the SSG hospital and conduct checking inside various wards. 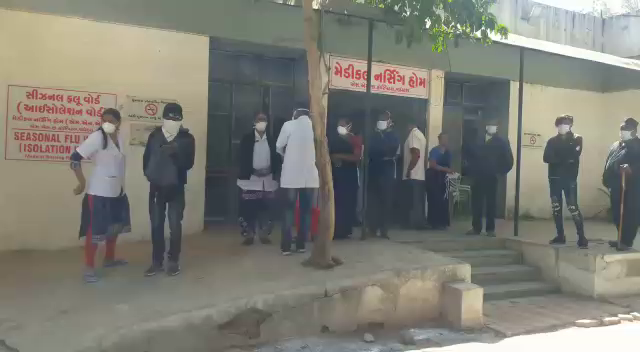 The team specially visited the special Swine Flu ward and check the safety measures and other aspects followed by the staff on duty. As the weather is changing the Swine flu is also raising it’s head in the city. To tackle the patients the SSG hospital creates a special ward for the treatment of Swine Flu patients. On Sunday the central government health team visited the SSG hospital specially the Swine Flu isolation ward. They also met the medical superintendent and get the information about the patients and treatment provided to them. The team will submit it’s report to the government later on. Previous articleDeposits in Jan Dhan account set to cross Rupee 90,000 Cr.